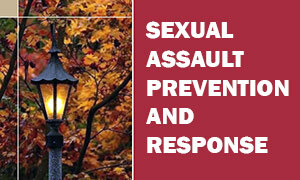 At Nyack College we believe that a safe campus is your right — and your responsibility. Campus security is a team effort that involves the cooperation of all concerned: students, faculty and staff. Our goal is to foster a stable environment in which security is balanced with freedom of movement on an open campus. Nyack College welcomes neighbors and visitors to enjoy the campus and to attend athletic and cultural events. The academic, athletic and administrative buildings are open to all students, faculty and staff. Access to residence halls is limited to students and guests as prescribed by student life policies. Nyack College also works closely with local law enforcement, ensuring the college’s policies are in compliance with federal, state, and county regulations. Administrators review the comprehensive Emergency Operations Plan annually with key personnel. The Village of South Nyack Police Department makes representatives available to speak to campus employees for orientation and give their endorsement of the plan. In addition to complying with governmental regulations, Nyack College also comes alongside local law enforcement, not only to assist in their training, but to familiarize emergency responders with the campus. The Rockland County Special Weapons and Tactics team (SWAT) and Nyack Fire Department have utilized Simpson Hall and Moseley Hall for training days. Members of Nyack’s men’s and women’s basketball teams, who remained on campus at the time, were among the role players who served as the endangered, wounded, or fatalities in several scripted scenarios (full article here). 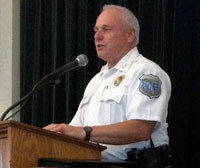 The Campus Safety Department is managed by the Nyack College Facilities Department. Campus Safety conducts security checks of campus facilities, including residence halls. A Campus Safety Officer is on duty 24 hours a day, 365 days a year. Their primary responsibility is to patrol and assure the safety and security of the campus. The Campus Safety Department works closely with the Residence Life Staff and local police to deter, detect, report, and investigate criminal activity and other activities on campus that are related to safety and security. Safety Officers are Facilities’ first responders and should be called in the event of any emergency. In the case of a life or death situation, 911 should be called first. Campus Safety is also responsible for maintaining parking safety on campus and issues parking violations to individuals who do not comply with the college parking policy. Designated areas of campus facilities and the surrounding grounds are monitored by continuous video surveillance for the purpose of enhancing the security and safety of the campus community. This includes residence hall entrances, exits, and parking lots. Student, Faculty, and Staff Responsibility: The cooperation and involvement of students, faculty, and staff in campus safety and security are essential. All members of the campus community must assume responsibility for their personal safety and the security of their property by taking simple, common sense precautions. For example, room and apartment doors should be locked at night and when unoccupied, valuable items such as stereos, cameras, and televisions should be marked with engraving instruments, and bicycles should be secured with a sturdy lock. Persons with vehicles must display a registration permit, park in their assigned area, and should always keep their vehicles locked. Suspicious persons or situations on campus, especially in and around the residence halls, should be reported to the Campus Safety Department.